Okay, Amy, what's been happening the last few days in the 19th century? The brewer you have the hots for was coming to visit the mansion. George's friend, Barker - isn't that his name? Ya, he's not here yet. But the lawyer guy is - Mr. Graham - the one that thinks I'm a spy or sumthin'. He came to talk to me about how I know British Columbia is going to be a part of Canada in a few years. He said he did some research, but couldn't find out nuthin' about me or my family. No, I'm absolutely not mad at you ... much. Why didn't you get in touch with me right away? What did he say? He doesn't actually believe you're some sort of a spy, does he? What happened? Ya, well, me, Charlotte, George and the guy Mr. Campbell came with, some government guy or sumthin' like that, all sat down together. And then Charlotte told Mr. Campbell that I was an orphan when she met me, you know, when I lived in the other house when she was a maid. So then Mr. Campbell just said, "Mmhmm." But I think he believed it 'cause he didn't say too much after that ... except for when he asked me again how I knew about British Columbia, 'cause it sounds like it's a secret right now. And? How did you answer him? At first I was gonna make up some crazy story, but figured that wasn't a good idea. So I just told him I'm a fortune teller. Smart, right? For sure, there's fortune tellers in the 19th century 'cause nobody laughed at all after I said it. They just looked at me without sayin' a word. 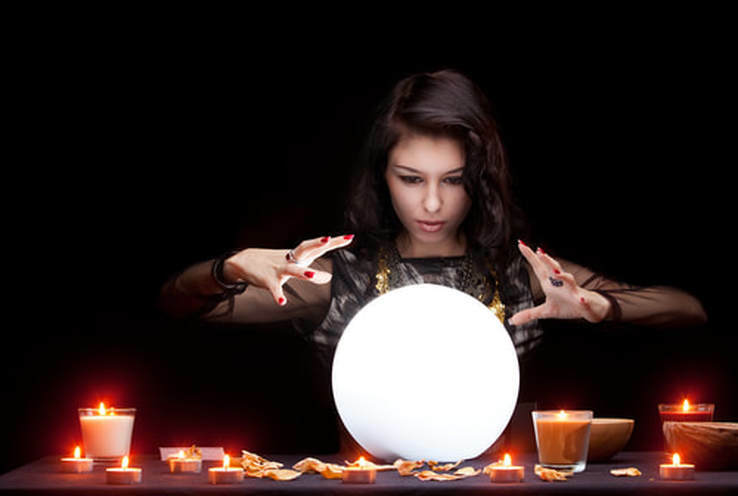 Fortune Telling is the tradition of predicting upcoming events in a person's life. In ancient civilizations as early as 4,000 B.C., countries such as Egypt and China were engrossed in forecasting and predicting the future. In the 1800s when you currently exist, fortune teller Marie-Anne Lenormand has secured her reputation as a famous card reader before her death. For over 40 years, Marie-Anne was a professional fortune teller, even advising Napoleon Bonaparte and his wife. Born in 1772 in France, she will live until 1843, but her name will live on, having written a memoir, although it reveals little about her know-how. A daughter of a merchant, Marie-Anne grew to be known for her impassioned imagination, curiosity and sprightliness of mind. It is said she began to predict upcoming events to her family and others at the age of seven. Methods of fortune telling are still practiced today, including the consulting of tarot cards (there is a 36-card divination deck that bears Marie-Anne Lenormand's name still used in parts of the world today), or reading a person's palm, for instance. The Ouija, or Talking board will be introduced in 1890 by Elijah Bond, a businessman. It will be regarded as simply a parlour game not associated with the occult until an American Spiritualist, Pearl Curran popularizes it as such during World War I.
Pearl Curran, along with a friend, Emily Grant Hutchings, will visit a neighbour in July of 1912. During the visit, the neighbour will bring out her game of a ouija board she had purchased. It is here when Emily Grant Hutchings will seemingly have contact with a deceased relative. Even though Pearl Curran is initially indifferent to the game, she will soon believe she has been contacted by the spirit of a British woman with the name "Patience Worth", who will communicate to Pearl through the letters on the board that she lived in the 1600s. Pearl will continue her communication by means of the ouija board with "Patience Worth" until her death, describing it as "one of the most beautiful that can be the privilege of a human being to experience." No authentic documentation has ever been discovered regarding the existence of this "Patience Worth".